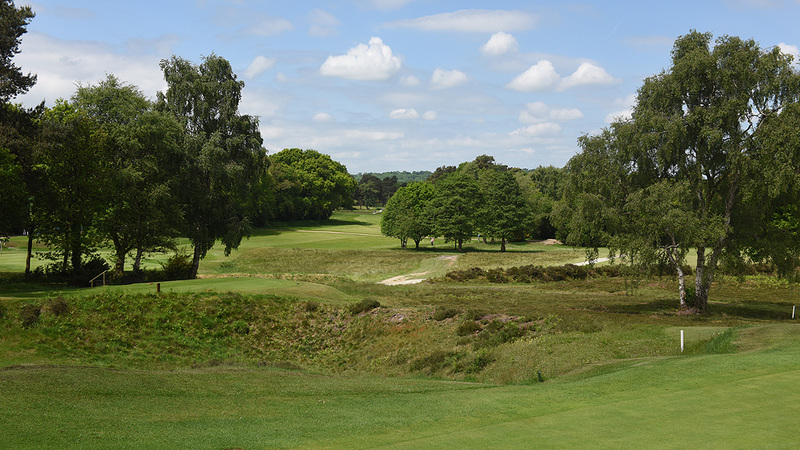 Blackmoor Golf Club Head Greenkeeper, James Norris, was later with his autumn maintenance renovation than he would have liked last year on the Hampshire course, near Borden. He was also more aggressive than previous seasons in an effort to clear out organic matter that had built up over the wet summer conditions. Over recent seasons James and the team had worked hard to reduce the thatch and surface organic matter for more consistent and firm surfaces, and had got it down to around 3%. But after a couple of years of lighter intervention and the wet summer, he decided to revert to a deep Graden scarification to rip out developing thatch. “The intense scarification does an incredible job and was extremely effective, but inevitably results in some damage and imposes stress on the turf plants,” he reported. “We paid greater attention to recovery, with a fungicide treatment at the time and a controlled release granular fertiliser, to protect plants and encourage growth,” recalled James. Initial recovery was good, but as conditions cooled into October was more intermittent. James considered the controlled release fertiliser was effective in balancing nutrient release with growth patterns, and avoided a flush of disease susceptible soft growth. James reported that in early November he began to see the first signs of disease bubbling up on some greens, and went in immediately with Instrata Elite. “The infection very quickly cleared up, and green condition stayed pretty much clean for six weeks, right through to 20 December." "We may have gone longer, but with some slightly increasing incidence of disease and the Christmas break, we wanted to be safe,” he added. James’ trial record sheets showed around 2% disease infection at the time of Instrata Elite application, which reduced to 1% a week after application, Sward density and colour remained consistent throughout. Disease began to increase, to 3 to 5% in December when he retreated the greens. 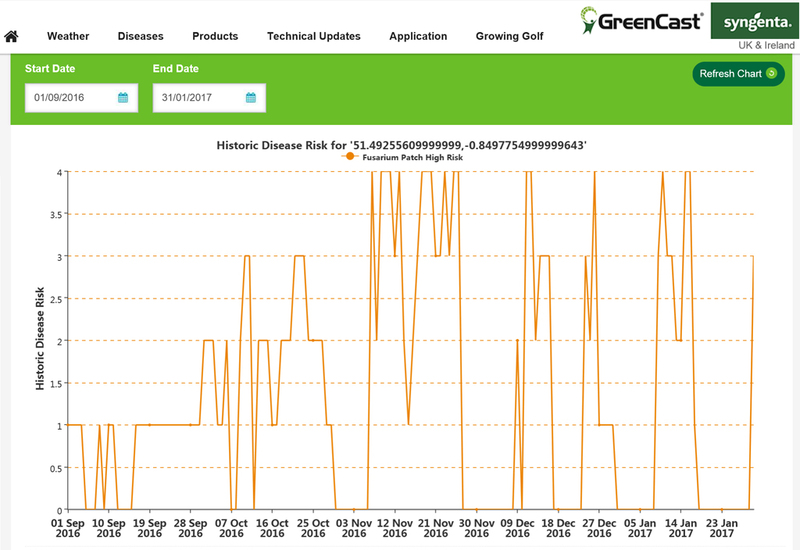 A review of GreenCast historic disease pressure for the course highlighted the medium risk of Microdochium Fusarium Patch infection in the weeks after renovation, which would have been held in check by the initial fungicide treatment. However, the chart shows there was a huge spike in disease risk on 6 November, which precisely coincided with James starting to see early symptoms a few days later. An application of Instrata Elite when the high disease risk peak had been forecast could have prevented even the first visual effects of disease, and eliminated disease stress in the recovering turf plants. However, James’ early intervention and the curativity of difenoconazole on the first signs of disease prevented further damage and protected clean leaf from new infection. Furthermore, the long-lasting results ensured that turf was still protected when a second further wave of high disease risk hit in mid-December. The disease charts also show he was exactly right to reapply a fungicide in late December, to bolster protection and counter further outbreak peaks through late December and into January. 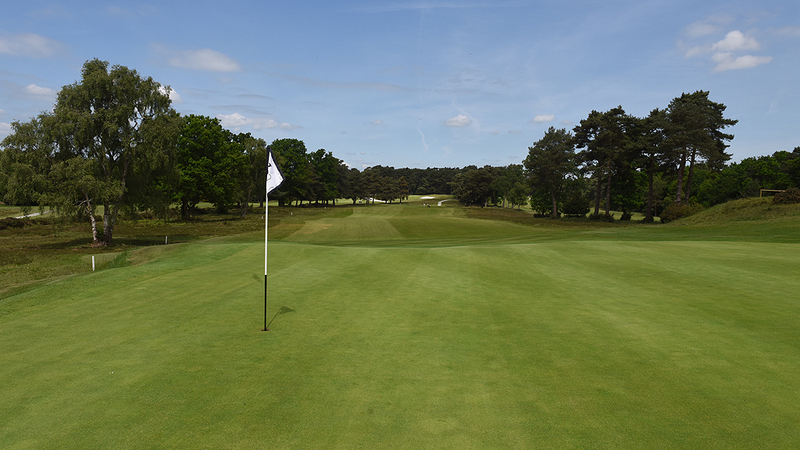 After 16 years at Blackmoor, James has a good experience of the course’s specific risks to interpret information and design a bespoke proactive fungicide strategy, including incorporating new innovation where it best fits the programme. Furthermore, it has given him a strong understanding of the Club’s members’ demands, to ensure he can consistently meet their expectations for year round play.